The Human Resources Department is a critical aspect of every company, no matter its size. The members of this specific department are entrusted with the general well-being of every employee in the organization. Some of their most basic responsibilities include the employees’ payroll and benefits, hiring new talents and firing the no longer competent ones, and keeping up with the demands of federal and state laws. A shortcoming in any of these areas can cause serious legal issues for the company, and severe dissatisfaction of the employees, which emphasizes the need for more competitive HR staffs. Aside from the duties listed above, the HR Department is also in charge of preparing extensive reports. They handle much of the important company documents, especially those that are directly connected to the employees and the whole operation of the company. You may also see report writing examples. The HR Department is required to maintain accurate employee records, which is used to document any problem and issue that may exist. Each employee has a permanent HR file that serves the purpose of protecting them should they need a document to prove their actions, to warn them about any rule violation, or to justify themselves. You may also like investigation report samples and examples. 1. Reports help with HR monitoring. 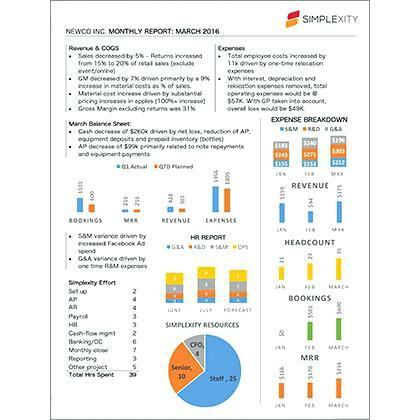 By keeping a regular simple report, the HR can track the productivity and general function of the whole organization. This can help them determine new opportunities that can be applied early on. It can also help them recognize problems before they cause too much damage on the company. 2. Reports help them manage information. 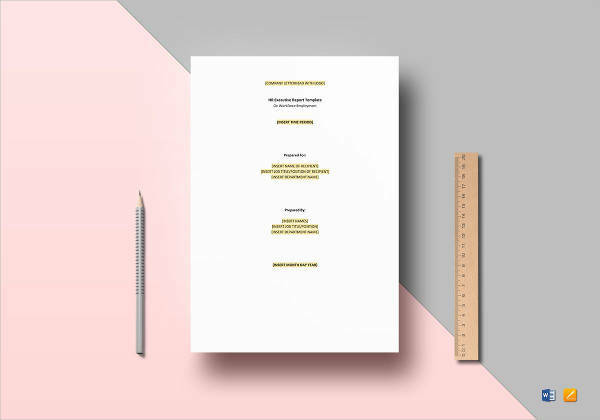 HR reports are an essential and effective tool in making the head managers keep updated on the developments of their teams and departments, as well as their needs. This can enable them to do their jobs better since they are in tune with the pulse of their team. You may also see monthly report examples. 3. Reports help them pinpoint problem areas. HR reports pride themselves in being observant, of noticing every tiny tick that does not play according to the system, of being observant to a fault because, otherwise, they wouldn’t be able to do their job. Due to this ability, this transparency, HR reports can help track certain issues in the company. They can then use this knowledge as a leverage to work toward improvement. You may also like sample HR templates and examples. 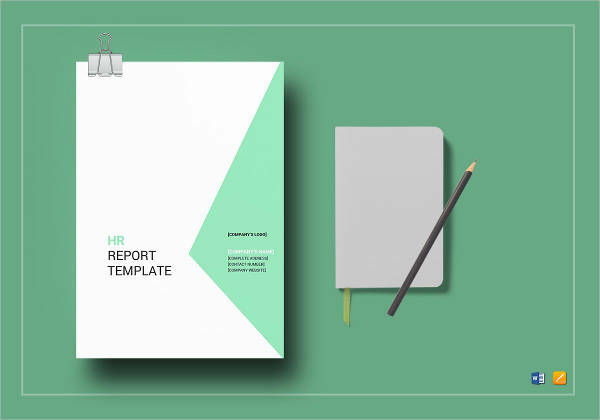 Solid reporting is the basis of every HR report’s credibility. It’s a skill that should be inherent in every company’s HR team. 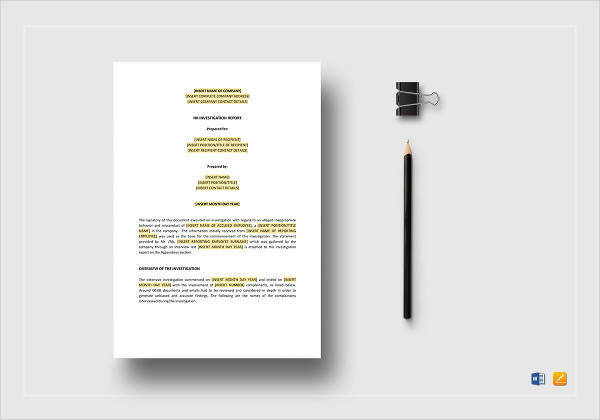 It’s basically the Mozart of HR reporting—it’s a classic, a standard that every future action needs to use as a guiding rod to make sure that they are headed toward the direction of successfully fulfilling their tasks. 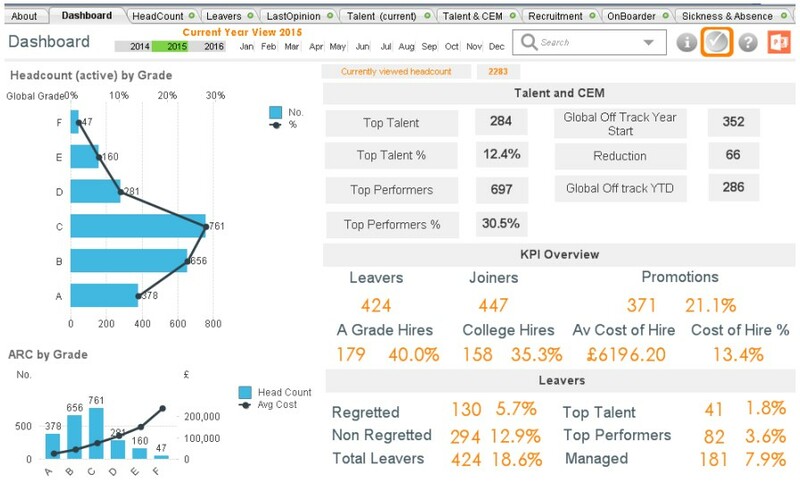 You may also check out recruitment report examples. This is a common distinction that should be used for diversity purposes. Age is an important must-know detail in your company’s workforce. In fact, it is a key element that can help an organization reorganize their system. This detail should only be included if the education level of an employee is either available or relevant to the professional goals of the organization. Otherwise, it’s not much of a necessity for record-keeping. It helps to create section within the different groups in the company. Hierarchy is important to classify the job responsibilities and expectations that every employee is burdened with. This detail includes the amount of time that an employee who works full-time renders. This must be included in every HR report, especially if there is an abundance of part-time workers in the organization. It helps the management weigh the total workload of the organization as a whole. You might be interested in performance report examples. A vital information in an HR report is the total number of employees who are currently working in the organization. 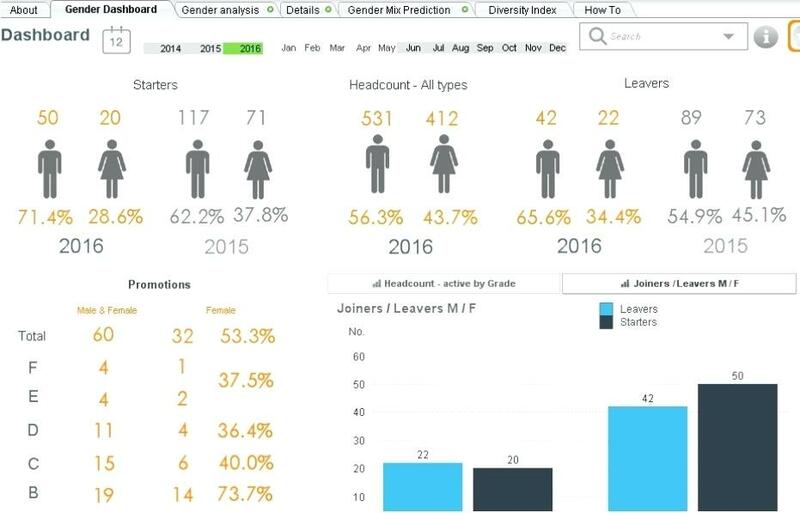 This section contains the number of employees who have left the company in the previous period. The counterpart of the employee turnover is the number of new hires in the company who have joined the team within the last year. This metric represents the total percentage of time that the employees were absent in the previous period. 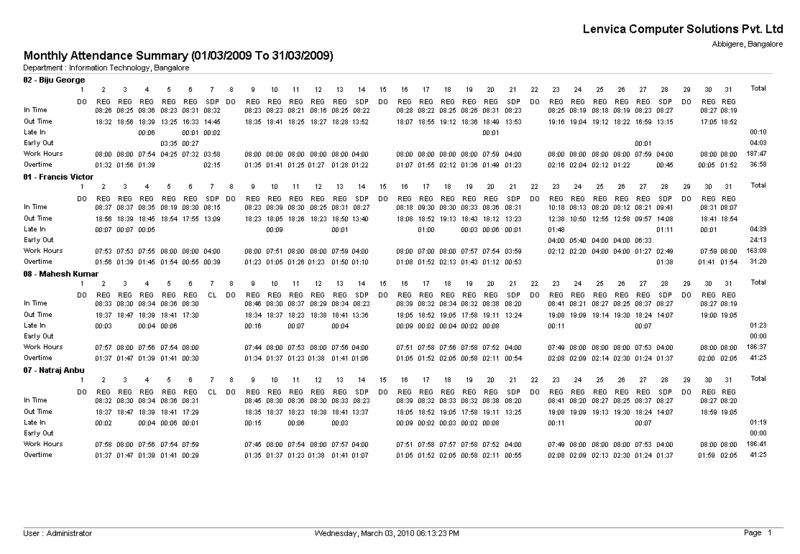 This can also be represented of calculated by determining the total number of absences of each employee. The previous metric or percentage that represents the total absences of the whole workforce can be made more tangible if it is presented in the form of financial number. Did the company lose any amount due to the total lack of workload in that period? You may also see human resource budget examples. This is the estimation of the total amount of money that the company pays its workforce. This number may also include benefits and taxes. The company’s cost of labor may be divided into two: direct costs and indirect costs. The former refers to the labor costs of the people who have a direct impact on the primary processes of the institution, while the latter refers to a more secondary area that cannot be visible in the production area, but in the more minor, yet still as important, aspects of the company such as the payment for its security officers. You may also like consulting report examples. This is the budget that the company allots for the training of their new hires and even their existing employees. Depending on the type of company, recruitment can be the aspect of their organization that has one of the biggest budgets. The recruitment cost may include fees for the help of external agencies, advertisements, and even lost productivity. 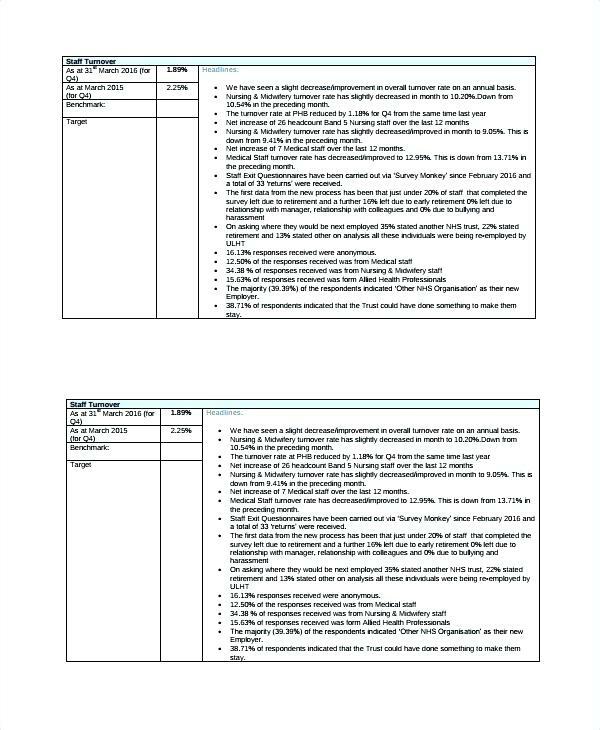 You may also check out HR memo examples. This section refers to the number of days that it would normally take a freshly opened position to be taken by a desirable candidate. This time gap may differ between positions. For example, customer service may be easier to fill up than a software developer position who has more specific requirements. You might be interested in examples of HR forms. 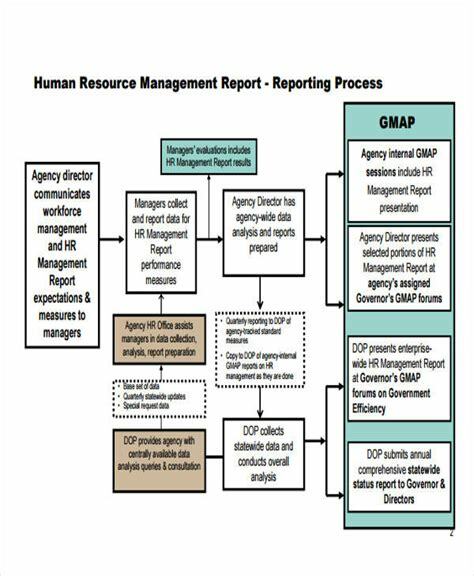 As with everything else, there are a lot of possible areas for failure that an HR report constitutes. It’s important that these are not only recognized but also addressed, to ensure productivity and quality in HR reporting. 1. 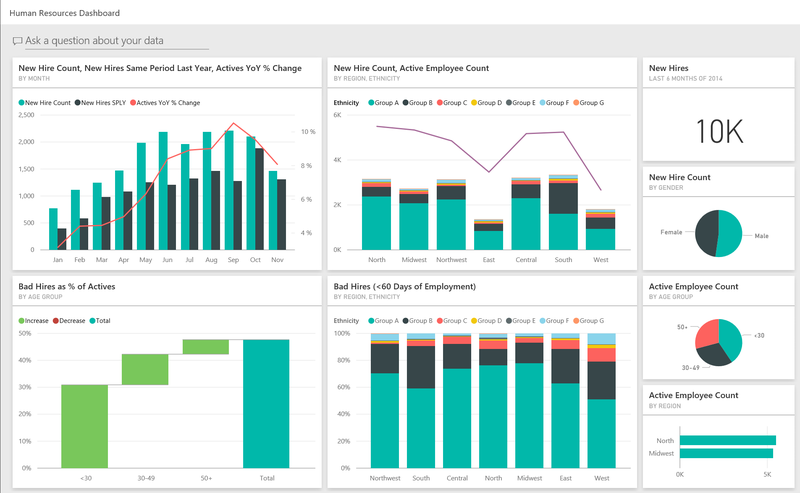 Automate your HR report. You may be tempted to produce your HR reports manually, but this method will only prove itself to be inefficient and draining. Your team must focus all your energy on more relevant efforts and manual production of your documents is just not one of them. Anyway, why would you choose to generate your basic reports manually when they can be automated? Most HR departments are inclined to overwhelm their reports with a plethora of unnecessary information just so they can look productive. Although this is a noble gesture, the effort is unwanted. A severely overflowing report can only result in the management’s low engagement with it, thus making your general report less affecting. It’s normal to have a dirty HR data. What with all of the information that the department needs to handle, things may go out of hand. However, make sure that all of this chaos is not visible in your HR report. 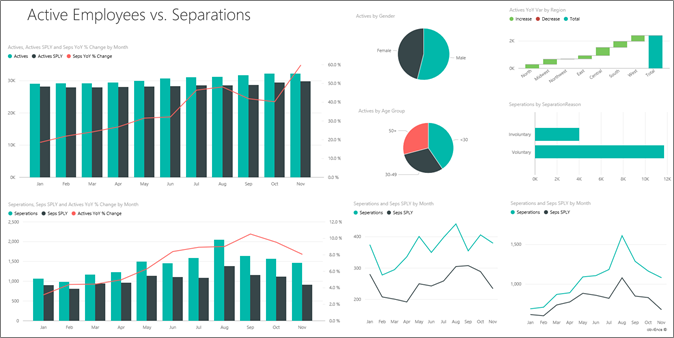 Create a process that can help you input accurate and clean data. You may also see visit report examples. This report is specifically created for the general analysis of the number of new hires and the budget that the company will have to prepare to cater to them. The report will include a list of the new hires and the date range of their employment, as well as the salary information in an annual perspective. This report is designed to introduce a list of the employees whose employment have been terminated within a definite date range. Their annual salary information will also be included in the report, as well as their tenure, and reason for termination. You may also see HR checklist examples. There are certain times wherein the terminated employees will be rehired in the future. The HR Department will also have to create a separate report for this group of employees. Again, the report will contain their salary information, original hire date, and prior date of termination. The analysis of the monthly number of terminated employees will be discussed in this report. There will also be an estimation of the annual average turnover rate in the report. This type of formal report will elaborate on the total list of employees and their paid leave information, such as their hours accrued, hours taken, and hours available. These reports are usually created specific to a certain group, level, or department. This report will provide information on employees who are placed on leave within a definite date range. The document will include data on the type of leave, the leave duration, and the return date if applicable. You may also like medical report examples. This report will provide a display of all of the changes made within a specific date in the company’s field of employment. There is no need to be daunted by the task of writing an HR report because the task isn’t very complicated. As long as you have the necessary information, the accumulation of which is the most difficult part, you can then proceed to composing and structuring your report. 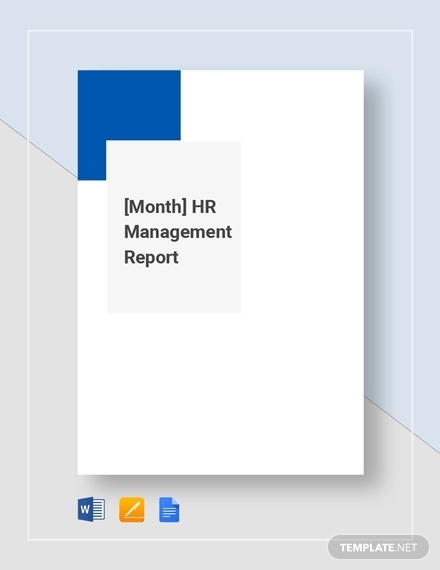 To help you with that, here are the easy steps to creating an HR report. 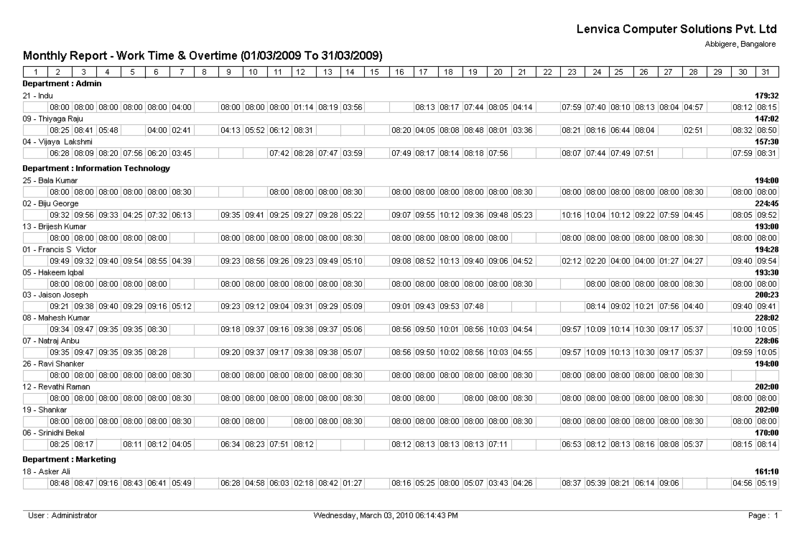 You may also see work overtime report examples. Every good report has at least a paragraph worth of introduction. It explains what the report is all about to give its reader an insight before proceeding with the discussion. The introduction will also include the names of the relevant parties involved, the current data, and the relevance of the basic report. This section should be written objectively using simple language and an abundance of facts. As much as possible, the introduction must be simple and straight to the point. This aspect of the report must provide a summary of the company’s policies and processes that may be relevant to the report’s purpose. For example, there has been a situation involving a dispute between the employees which the report tackles. This part will then include the necessary attempts that will be taken as an approach to the issue. It will also provide background on the relationship of the employees to one another, and the previous cases that may have involved the parties. This section will include the facts of the case as explained in the complaint and other credible witnesses. It should be a detailed retelling of the incident, and must include relevant information such as the date and time of the incident, and other issues that may have resulted from it. The next would be to discuss any decision or process of evaluation that will be taken to conclude the case. You may also see incident report examples. The job of every single member of the HR team is, needless to say, not easy. They are tasked with having to face different company-related issues and are expected to meet each of them with utmost efficiency. Creating reports is simply a branch in the gigantic mass of everything that this department of talented individuals need to perform. You may also like employee report examples.